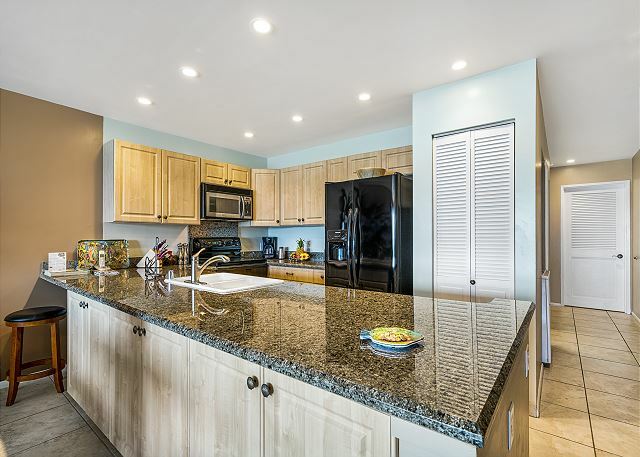 This unit is located in a highly desirable location just a short walk from down town Kailua Kona. 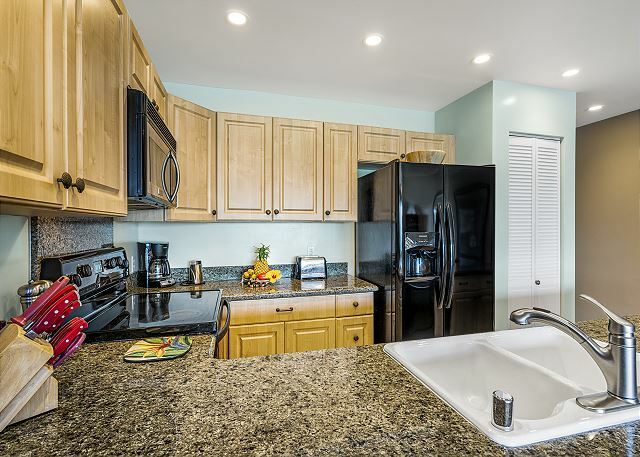 A recently remodeled two bedrooms, two bath condo which sleeps 4 comfortably. 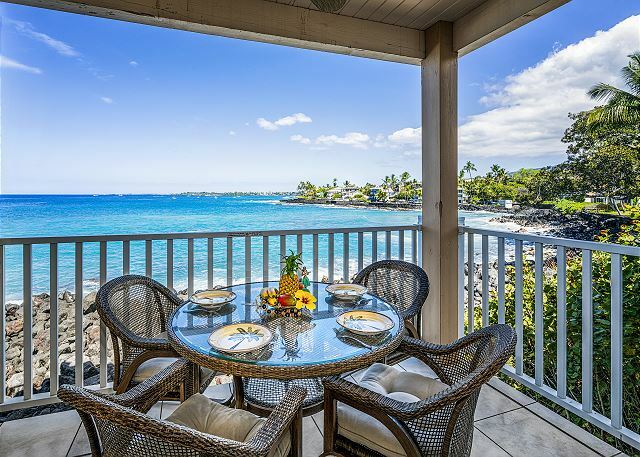 Enjoy spectacular ocean views, sipping a cup of Kona Coffee while dolphins and whales are splashing around right in front of your Lanai. 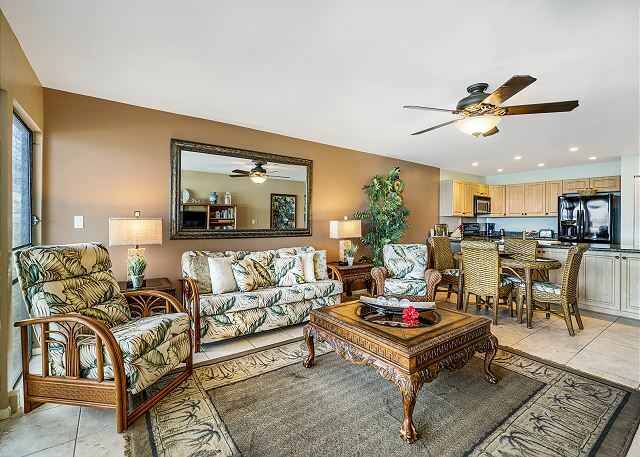 Watch the night lights of Kailua Village from your lanai as the breeze refreshes your spirit! 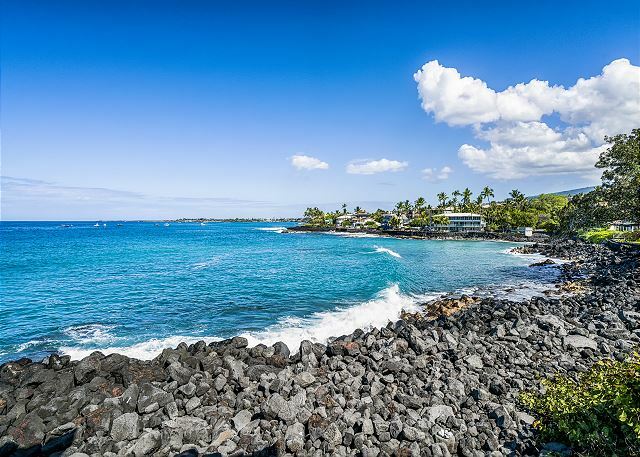 Sea Village is conveniently located, a great home base to explore the many wonders of the Big Island of Hawaii including the Volcano National Park, Mauna Kea Observatory, coffee and macadamia nut farms, artist communities, and more! Conveniently located place to stay at a great price! Excellent location, noise was minimal and neighbors were very friendly! Dolphins swam right in front of our condo and danced away in the ocean for hours. A beautiful site to see! We travel often as this was our 3rd trip to Kona this year (Family lives there). Our preference is to stay in a vacation rental for extra room and comfort. Hale Alaula has an almost perfect location with outstanding decor. We had everything we needed to include great views to truly enjoy our stay. Was very happy with the rental. Good location in Kona. Nice property. Beautiful view from the lanai. And the beds were so comfortable (or I was so tired and slept well). Mahalo for the positive review Paula! If you return to Big Island we encourage to contact Boundless Hawaii directly to secure your booking! Great condo - right on the water and very close to the pool. 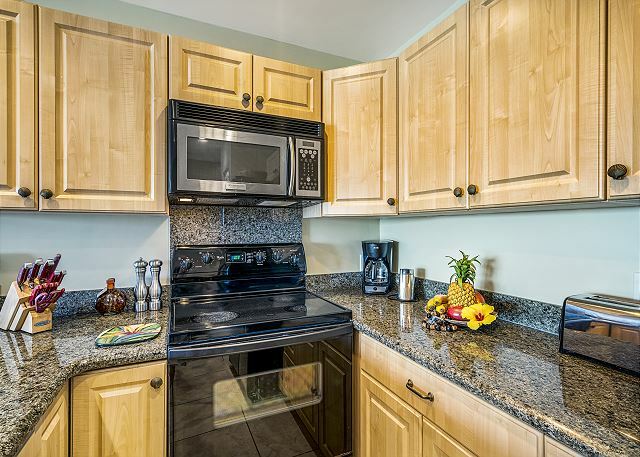 Great condo - clean, bright, cozy - 2 bedrroms, 2 bath. Right on the water (photos match our experience). Close to the pool. Spent a lot of time on the lanai. Close to Kailua. Thank you for your review and we're happy to hear we've lived up to your expectations! The rental was very beautiful. Right on the ocean with everything you need to feel at home. My family and I did not want to leave. The only thing I didn't care for was the construction for the pathway to the pool going on right outside our front door. They were there being extremely loud and shaking the entire condo every week day morning right at 7 oclock.i would have loved to sleep in but with their racket it was not happening. Other than that,it was perfect yes, I would definitely stay here again. We are glad to hear that overall you enjoyed your stay! I am very sorry you had to deal with the complex construction, that was supposed to be finished prior to your arrival. 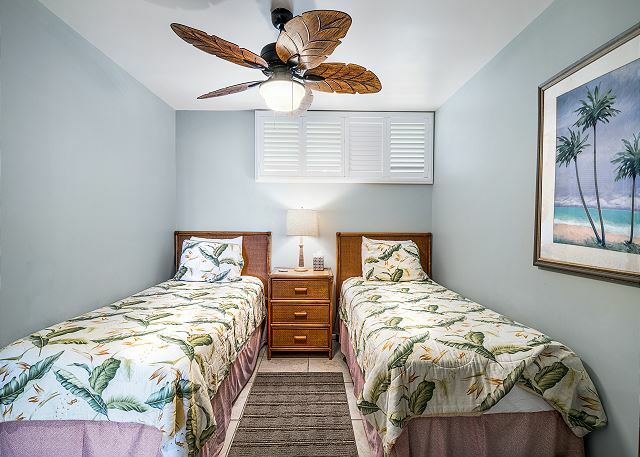 We hope to provide accommodations for your future visit and would love to offer a 10% discount to you and family for all future stays with Boundless Hawaii! Location is conveniently located to town. Great views and well kept grounds. Room slept 6 comfortably. Mahalo for visiting and providing some feedback. 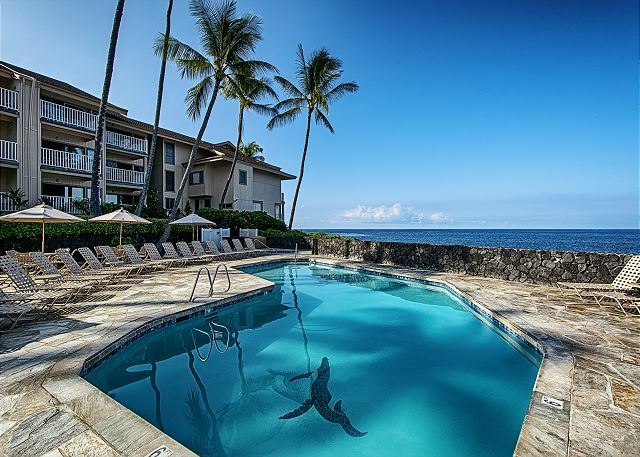 We hope that you will come stay with us during your next visit to Kona! This is an older property but kept in good condition. We really appreciated all the beach stuff. Great location. Would definitely stay again. Aloha and thank you for your review! 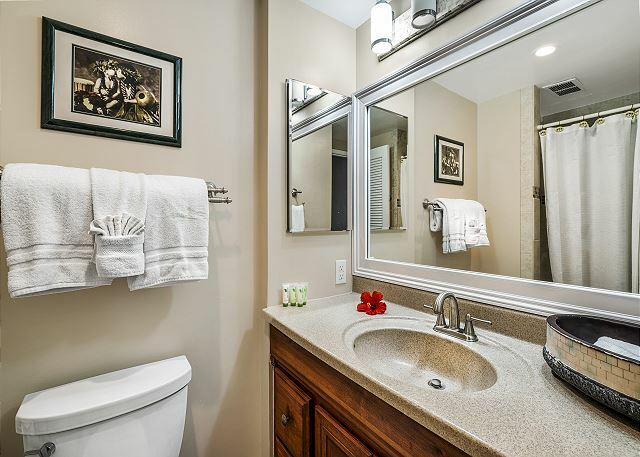 We're happy the the owner's remodel and custom paint choices separate it from many others in the area. Please come back and stay anytime. Remember, as a returning guest you are eligible for a 10% discount on your next visit. Great access. good location. good amenities. Parking was a bit tight for wheelchair access. We stayed here for 4 nights and moved to another condo. This condo was great the only thing I missed was the master was not on the ocean side of the unit and it was a little warm. Would have been nice to have an indoor air unit. or giant fan. Everything else was lovely! We have stayed in many different Kona Condos and this was probably the nicest unit and location ever. It did not have A/c but we never missed it due to the nice breeze that was always blowing in off the ocean. We will make it a point to stay in this unit whenever possible. We had a great stay as usual. Had a problem with ants very bad but after the first week we called and they came right out and took care of so much appreciated! Also the only complaint I had was there was only 2 little skillets and we are a family of 6. Our father in law was in 1103 so we borrowed 2 from him. that would be my only suggestion is to have a family size skillet! thanks for the great stay! We arrived to a perfect view of Kona and a clean condo. All the basic amenities present, tho it would've been nice to have had basic cooking essentials, i.e. condiments, jam, butter, etc... which we had to purchase and hope will remain available for the next guest. A good stereo and TV present, tho a nice touch would've beeen a hawaiian music cd, but that's about it. Our stay was perfect. Rooms are breezy with fans, the view from the lanai was perfect, the sounds of the waves lapping on lava rocks, the beds comfortable. Bedrooms are in back and dark which made for a nice place to nap after a morning of snorkeling into town. Rain every night cooled the night, but the lanai stayed dry to have dinner in the nightly showers. Can highly recommend this condo; 1.5 miles to town makes for easy morning walks. 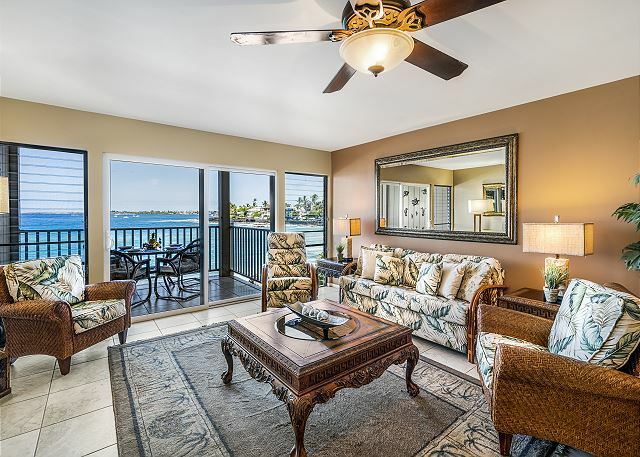 We will be back to Kona, and this condo will be our first choice. Loved it. Overall we were very pleased with the condo, and would recommend it. Upon arrival we could not find the key box and had to call the property management for help. The box was located fairly high on the door jam and the entry way was very dark. The only other thing was there was only 2 hand towels there. We loved the spaciousness, view, privacy, coziness and location of the condo. It was a great place for our family of 2 adults and 2 teenagers. We did have some issues with cleanliness. All bedding in the master bedroom (sheets, duvet, mattress protector, pillows) was stained and filthy. We notified the property management company and they sent a cleaner over right away. The bathroom sinks did not drain well, which we told the cleaner but nothing was done about it. The vaccum cleaner bag was full and the brushes were so clogged with hair. We didn't discover the vacuum issues until later in our stay, so we just took care of it ourselves. The carpet took on a much brighter colour after we vacuumed. But these housekeeping issues should be easily fixable, so the benefits of this great place still make it worth staying at. We loved the view. Great TV in living room. The management company responded very well to a plumbing problem we had in the middle of our stay. I brought my two kids ages 14, and 11, as well as my mom and stayed at this location for a week. The unit makes a great first impression. 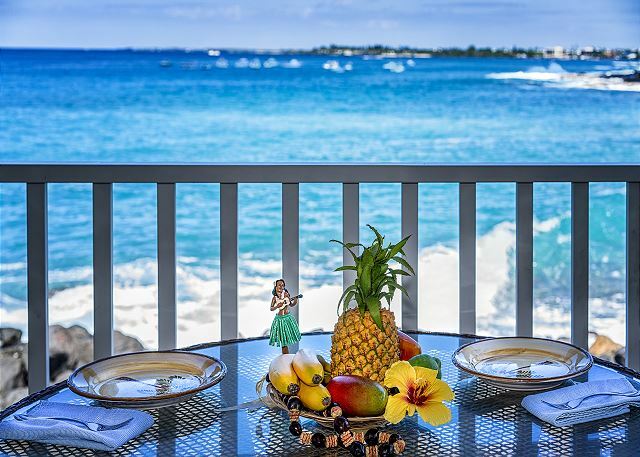 As you walk in you immediately find yourself looking out onto the beautiful ocean and after sliding open the door to the deck you hear the waves crashing below. It's great. I wanted waterfront so we made our group fit. My kids shared the room with two single beds and my mom got the master with its own bath and I took the hideabed. I recommend you sleep on it too because you can open the Windows and slider and sleep to the sounds of the ocean. 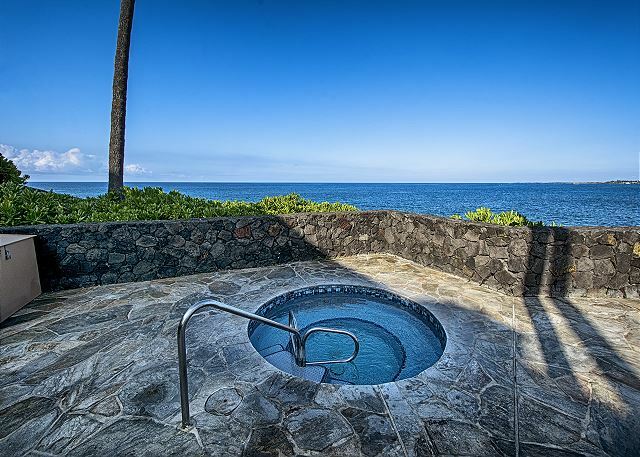 Great location, just a mile from downtown Kona. Lots of joggers going up and down, with tennis courts and snorkeling nearby. I'd definately stay here again. One warning. The bathroom door is nearly transparant for noise, so if you like privacy you'll be hard pressed to get it in there. Amazing place, exceeded our expectations. Wonderful location, beautiful surrounding, incredible view of the spinner dolphins right off the lanai! Place has everything you need to feel right at home including extras for the beach. Anna at Prince was awesome and professional. quick to answer all our questions. Loved it and hope to come back soon. Mahalo!! We loved staying here. It was very comfortable and convenient to everything. Well equipped . Loved having breakfast on the patio. Great pool and beautiful grounds. We really enjoyed the condo. Beautiful ocean view. Very well equipped kitchen, and with misc. things like beach chairs, etc. The unit does not have AC though. This is our 6th time staying at Sea Village, and our first visit in unit #1105. We HIGHLY recommend it! It was the BEST unit we've ever stayed at. Clean, well stocked, excellent location, great TV's, great kitchen. may be interested in this unit for 3-6 months. Would there be a discount for that and how much? 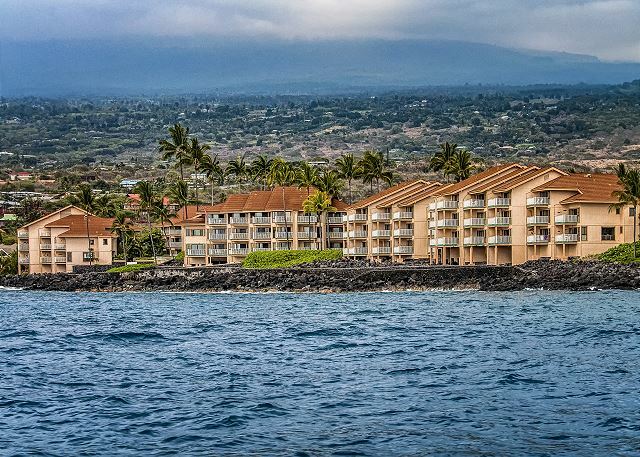 Sea Village is a great location - an easy walk to the town of Kona and it is right on the ocean. It was strange that there was no A/C and the furniture is outdated, but all else was pleasing. Thanks! Great Place, did have a problem about 3 days into stay. Broke screen door. Called property manager but was not fixed for remainder of the trip. A little let down. Washer did not stop filling. Ran over into kitchen, bath & bedroom. Called emergency number. They had someone come out next day. We had to clean up water for about 2 hours. Kind of thought someone would be sent to help. We found thie place better than the pictures. All the little extras you may want were there - beach mats, chairs, coolers... The location is great and listening to the constant crash of the waves was soothing. Great updated condo. My two boys loved the pool and hot tub. 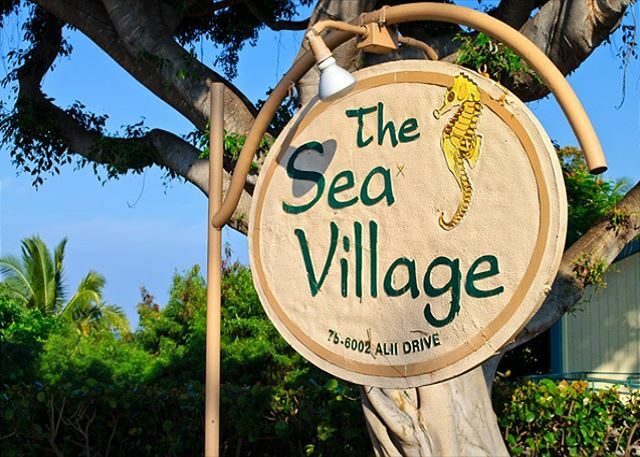 Sea Village is a family friendly complex that is conveniently located. Very nice location in Kona! We had a wonderful time in this condo. 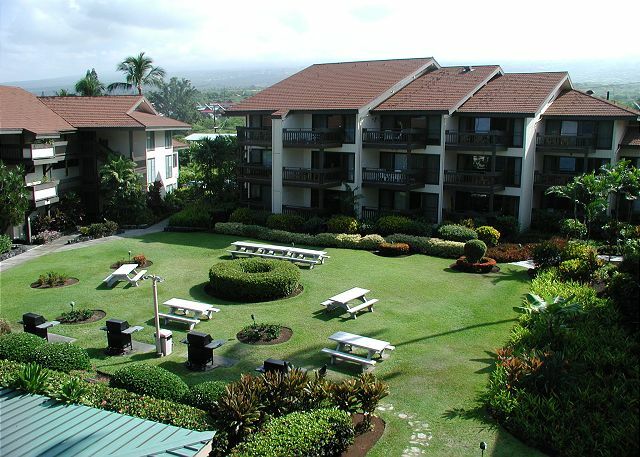 It has all the needed amenities and is very close to all happening things in Kona. 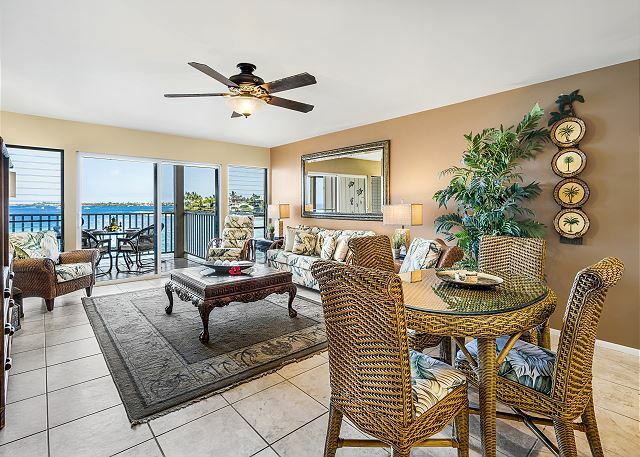 It is truly an oceanfront property and you can relax just by sitting on the living room lanai. 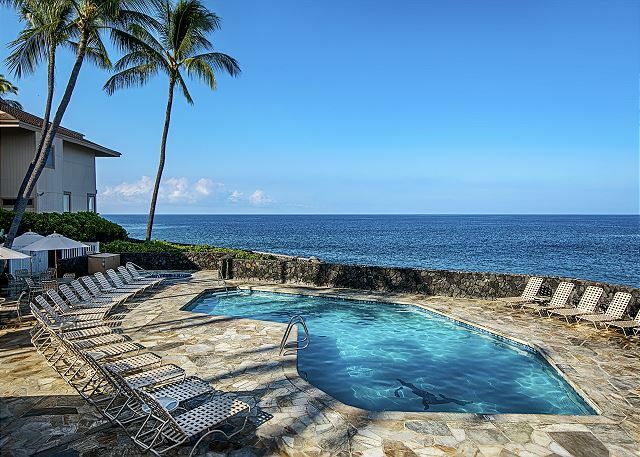 Would definitely consider this property on my next visit to the Big Island! This is our second stay at Sea Village. We will stay here again. The bathroom fan was not working and with no window and no AC it was very stuffy and hot. Lightbulbs in the hallway were burnt out, if there had been lightbulbs in the unit we could and would have changed it. Overall a very nice unit. Susan at Prince Properties were excellent in dealing with a need for a unit change situation. We loved the oceanfront location and the fact that being on ground level we did not have to heave luggage up stairs. All inhouse amenities were very generous and complete We liked the 'just nice' distance from the village. Had a wonderful time in Kona in part due to our lovely accomodations. Only thing I would reccomend is some sort of comment book for the guest's review of tours etc. We had a wonderful experience horse back riding at Na'Alapa Stables-Kohala Kamuela. A great experience!! This is a fabulous condo - renovated very nicely and a spectacular view. Main level location means it's easy access, close to the pool and bbcues. Perfect. My second time staying here. Would highly recommend this condo and Prince Properties. Incredibly decorated, very clean, awesome view and location. Slight odor at times in both bathrooms. We had a great time. My only complaint was the VOG!! We hope next year the mountain and volcano will calm down.Right on the water is was not bad. Love the Lani. We had a wonderful time. It was a "breeze" to get on and off Alii which is not always easy along that road. I found a review of Prince Properties in Fall 2006 and decided to check out their properties. I had previously rented another unit through a different company and loved Sea Village. After looking at Prince Properties on the internet and seeing photos of their units, I decided to go with them. I couldn't have made a better choice. I have traveled extensively and have never had better customer service, plus the unit I rented from them in April 2007 was utterly amazing. I loved it so much, I am renting the same one April 2008. I highly recommend Prince Properties.